David Hasselhoff (“The Hoff”) became world famous in the eighties with the American television series Knight Rider, in which he played a high-tech modern crime fighter assisted by KITT, an advanced artificially intelligent, and nearly indestructible car. In the nineties, he became the most viewed star ever in the history of television, thanks to “Baywatch”, a series about the lifeguards on the beaches of Los Angeles. Baywatch could count on around 1 billion viewers per show. From 2002 onwards, it went downhill with the superstar. He was accused of alcohol abuse and lost most of his fortune. 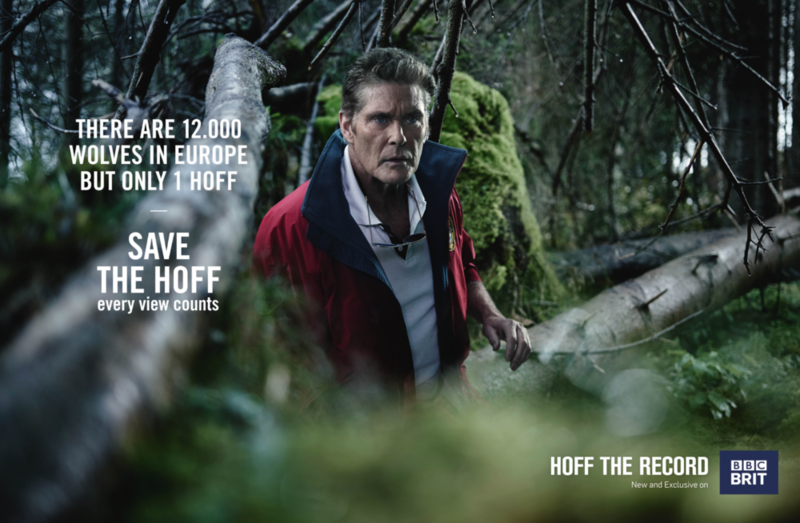 30 years after rising to fame with Knight Rider and Baywatch, the BBC decided to make a series on David Hasselhoff: “Hoff the Record”. 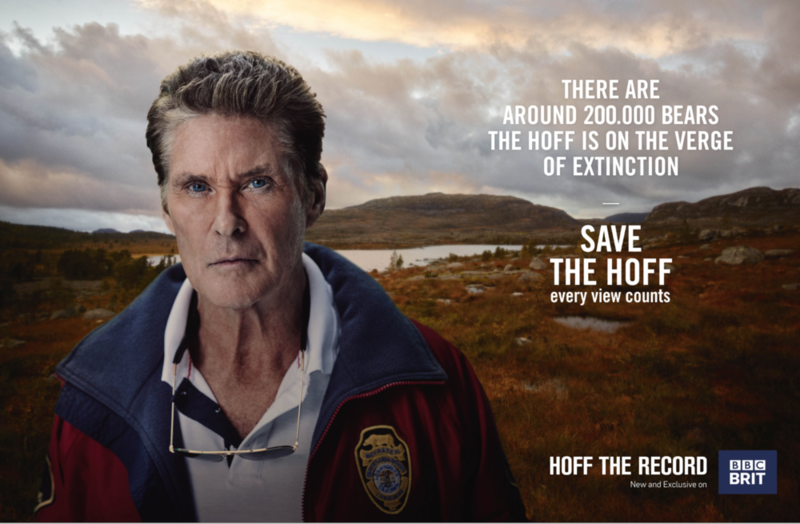 The sitcom follows The Hoff as he moves to the UK to get his career back on track and make sense of his increasingly surreal life. 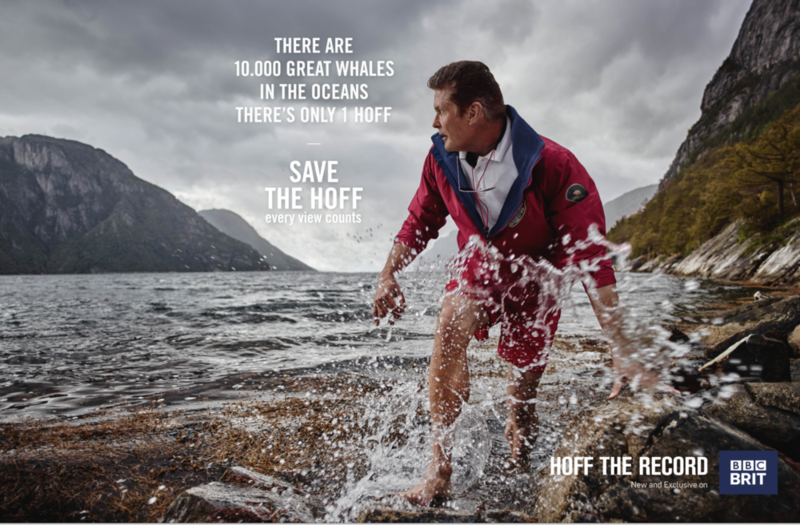 Support the launch of the show in the Nordics via a 360° campaign. David Hasselhoff is a unique creature, who saved a lot of people in Baywatch. 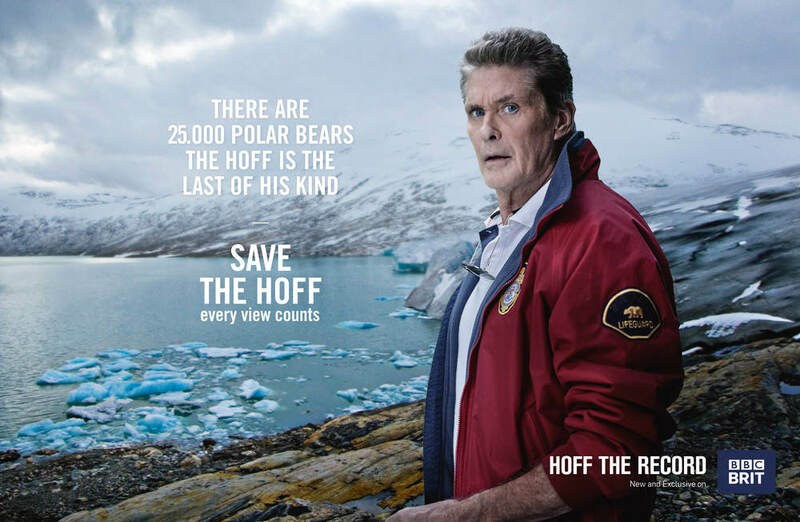 Now it is time for the people to save the Hoff.